Jem is, amongst other things, a multi-disciplinary alternative health practitioner (having trained in McTimoney chiropractic, multiple forms of massage & naturopathy), detox facilitator, health & happiness coach, author, journal designer, musician, Vision Quester, Long Dancer, change maker, Symposium facilitator, yogi, meditator, lover of nature, archer, website designer, social entrepreneur, traveller & an advocate of social & political change. In other words, Jem is a renaissance man, with a passion for creating & supporting massive positive change in the world. 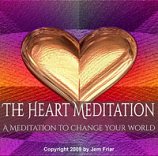 Jem’s books are written to support growth & a healthy, balanced way of living. His CDs are designed to support a meditative practice, rooted in re-connection (to self, others & nature). Available from 1 October 2016. This beautiful journal has been designed to inspire the easy recording of one's dreams.